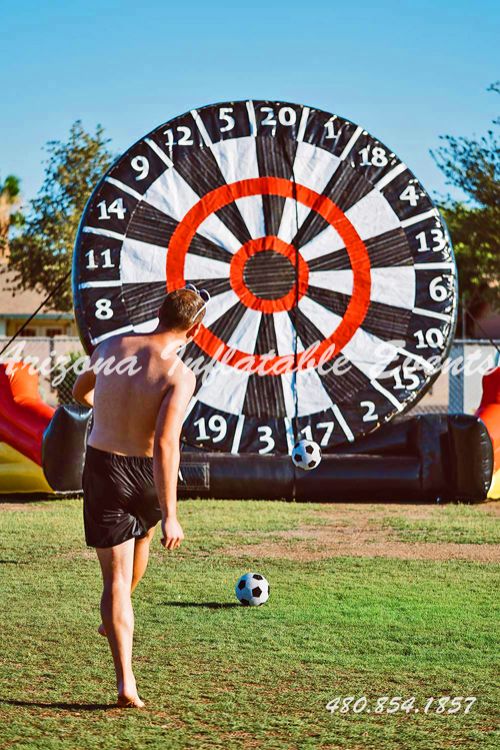 The inflatable giant soccer dart game is great for kids and adults. 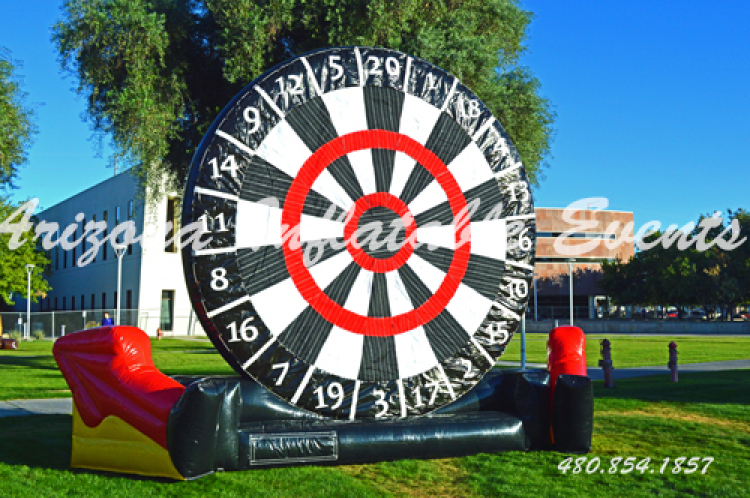 This giant game measures 10 feet long by 20 feet wide by 15 feet high but requires a space 20 feet long by 25 feet wide. 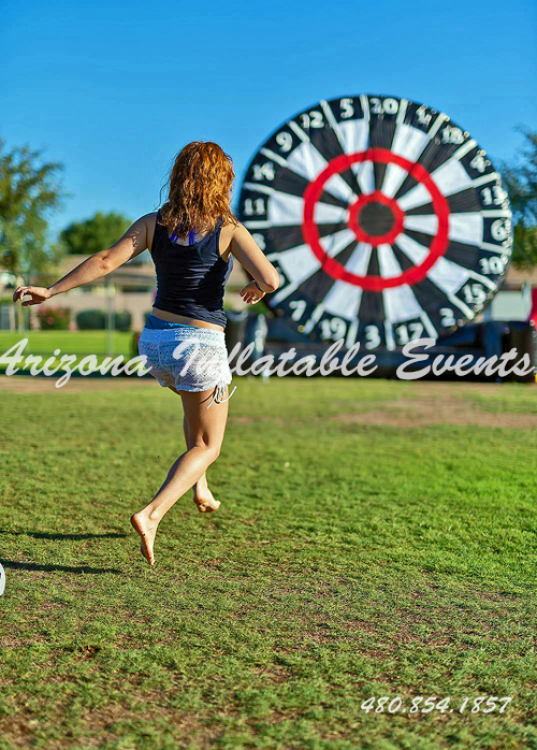 Each participant gets to kick the ball three times to see how gets the highest score or try to make a bullseye! 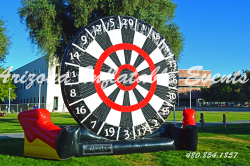 This is a great inflatable game rental for company parties, corporate events, school carnivals for community events. 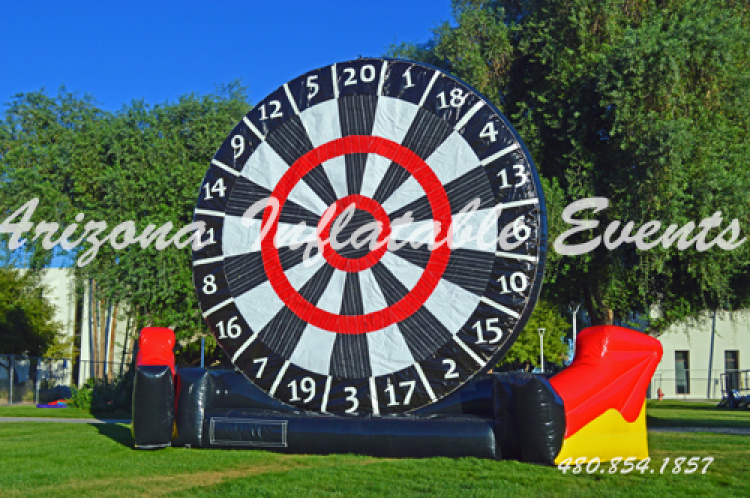 Call today to rent this Giant Soccer Dart Game! Don't forget to add on popcorn machine or cotton candy machine.